All available scores for Slide Show are in the section below. 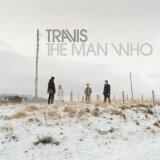 This track was performed by Travis, Fran Healy. In order to see the sheet music for Slide Show please click on the preview button next to the score you are interested in. Do you only wish to see our available arrangements for one instrument (for example: piano)? In that case please select the instrument (for example: piano) in the drop down menu just above all the previewable scores. If you would like to leave a review of the Travis sheet music on this page, then please click on the tab "Comments". Would you like to share this track with your friends? Then just click on the share button on this page, and you can tell your friends an family about this awesome track. You can choose from 2 arrangements for 2 instruments for the composition Slide Show.